Spring Yoga Cleanse is simple & fun! After recently returning from the cozy town of Asheville, NC I took with me a fond memory of being inside a Dead Sea Salt Cave- http://www.ashevillesaltcave.com. It was great to be immerse in 20 tons of pink salt from all corners of the earth! Since then, I have added Himalayan lighted salt lamps to my massage room and my bedroom for evening enjoyment. The glow of the lamps reminds me of the clarity that comes with doing simple cleanses. 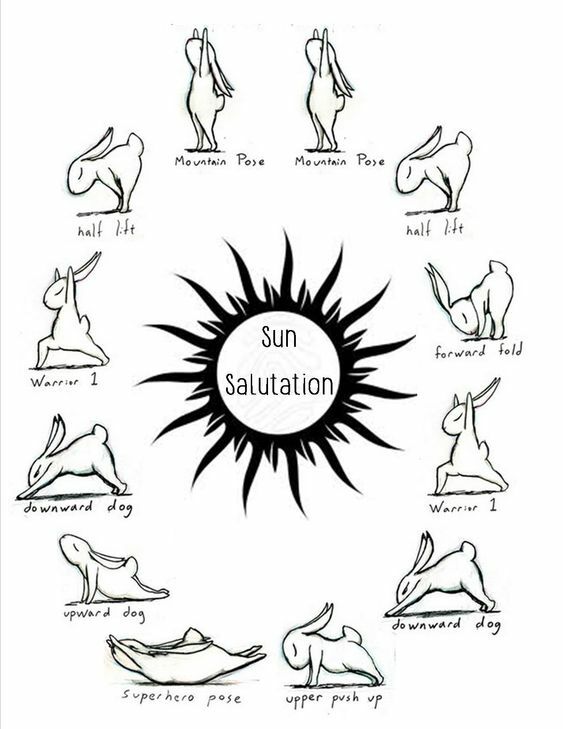 To balance the cold we can amplify our heat, doing a few extra Sun Salutations. We have been doing more of them in our weekly yoga classes and its been a fresh beginning for Spring. 🙂 Adding just 2-3 extra sun salutations in a yoga class can make all the difference in removing the heavy energies that like to cling to us. Bunny yogi below has taken the time to show us a variation or two from the traditional ones, which is a festive way to bounce around! One more Spring cleanse that I am fond of is donating. This is the perfect time to shed some layers, loosen a grasp on something from way back in the past that doesn’t need to be present as your future unfolds. It is such a powerful process to practice selfless giving and create space for the exciting unknown. I just finished sorting through some things today to give away and it brought so much momentum to my movement. Looking forward to seeing you in class and even more incredible somewhere along the yoga path. If you have the opportunity to join us in the destination yoga retreat, it is going to be a special time! 4PM-8PM Free time, walk to beach and/or dinner. 8:00AM- 9:00AM Breakfast and free time.